Across from the Police Department, the former City Hall and Court House displays a matching elegant brick and limestone architecture. 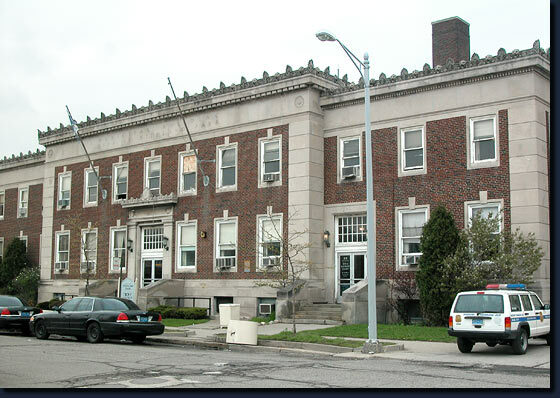 Now used for policing services, it is badly in need of maintenance and restoration. Regrettably the misfortunate city, once a thriving middle class municipality of nearly 50,000 that has dwindled to 15,000 mostly impoverished citizens, has been forced into a unfairly punishing State receivership and lacks the resources to cover obligations created during its more prosperous times.